As well as completely sealing the iPhone in a case, a few access areas are provided allowing you to open them up to charge and connect headphones. 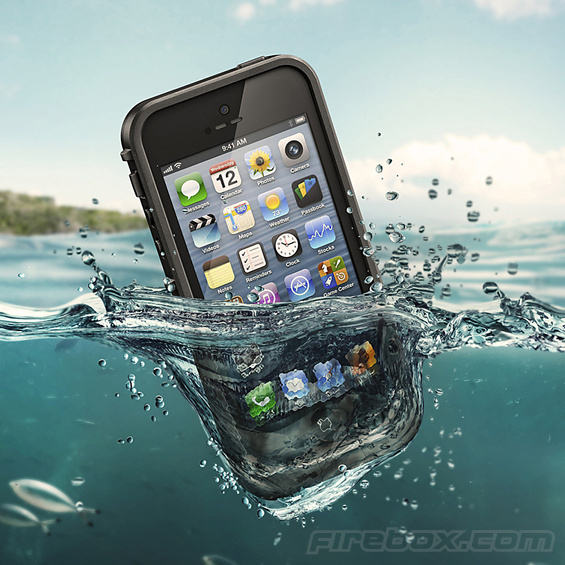 The LifeProof completely covers the iPhone. on the front is a double AR-coated optical glass which is described as being barely visible as to not take away from the quality of the Retina Display found underneath it. Price wise… the iPhone 5 version costs £69.99 and the iPhone 4/4S version costs £59.99, both available from Firebox.